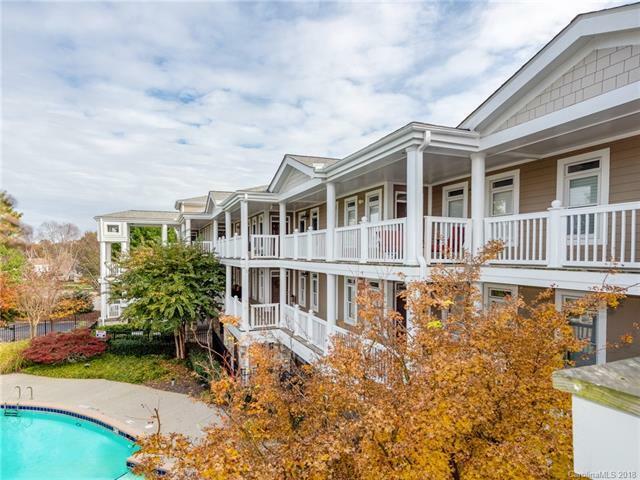 Rare 2-Story PENTHOUSE condo on Lake Norman with spectacular waterfront views. Condo has brand new hand-scraped walnut plank hardwood floors, brand new carpet in all bedrooms and just freshly painted. Move in ready! Beautiful granite kitchen leads to open floor plan with outside lake front deck on both floors. Breakfast bar off dining room and large living room. 9ft ceilings with 5 new remote ceiling fans. Upstairs loft is accessed by SPIRAL STAIRCASE. Three large bedrooms, 2 full baths & 2 Walk-in Closets. Dual fireplace. Tile flooring in both baths with tile surround and glass door shower in master bedroom. Oversized laundry, kitchen pantry, double porch doors, french doors to third bedroom, built in cabinets and crown molding. Unit is on quiet side of complex overlooking swimming pool. Two locally owned restaurants downstairs and close to grocery, I-77 Highway, hospital and greater Mooresville. Will not last long!